Back at MWC, Google announced that Google Lens would rollout to Google Photos for everyone (And it did! ), but that the camera-based version would also show up on “compatible flagship devices” within the coming weeks. Since that announcement, the Galaxy S8 line and Galaxy Note 8 have slowly picked it up, plus we noticed that our Galaxy S9 review unit has it as well. What is camera-based Google Lens? I hate to compare anything to Bixby, but that’s sort of what we’ve got. 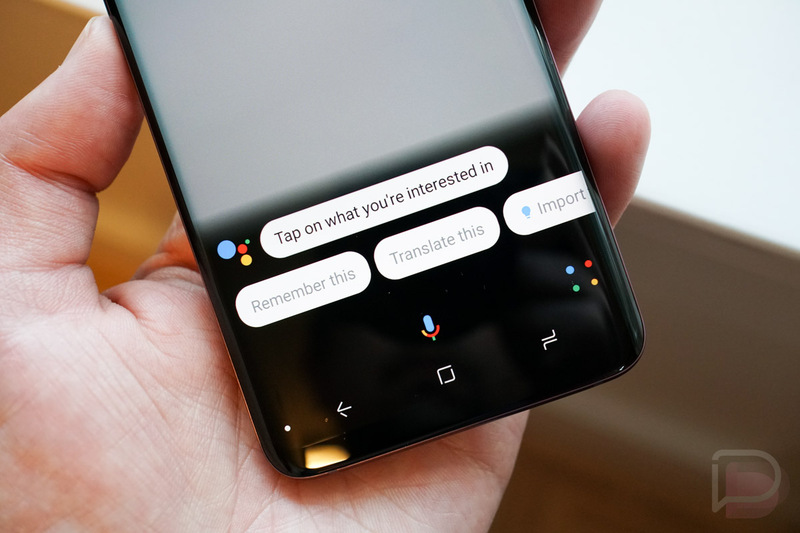 You fire up Google Assistant and look for the Google Lens logo in the bottom right corner. Tapping that opens into a camera UI that asks you to tap on items you want more info on. If it recognizes them, it’ll give you links to gather more info and it can turn images into text for copying too. It’s useful for quickly adding business card info to your contacts, finding info on monuments or attractions, and deciding which of the nearest burger shops you want to stop at right now, because it’s always the right time for a burger. You may need to be in the Google App Beta in order to get this. If you aren’t already enrolled and want to, hit this link. Google didn’t specify that Samsung’s flagships would all get Lens when they announced it, we just assumed they would. What I’m getting at is the fact that the LG V30 could (and probably will) very soon, as will other of the top-tier devices you own. Be on the lookout!